Moscow Metro operates in the cities of Moscow and partly in the Moscow region. Metro is the most effective, cheapest and safest form of transport in Moscow. The Moscow Metro is one of the busiest subways of the world by number of carried passengers. In 2015, the Moscow metro has transported 2384.5 million passengers. 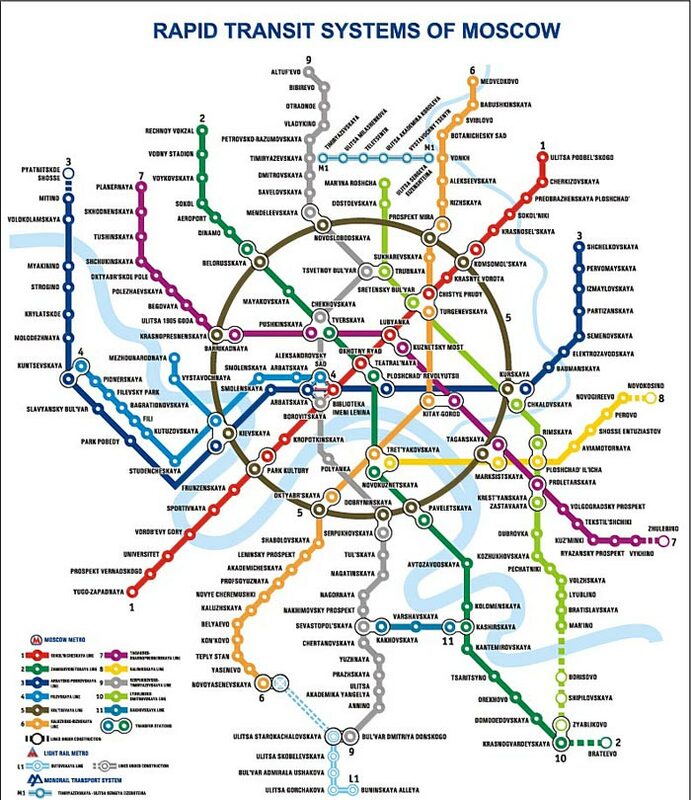 Interactive map of the Moscow metro. The fare in the Moscow Metro. Some stations of the Moscow metro have original design, and are examples of the art of socialist realism. These stations can be considered architectural landmarks of Moscow. 44 stations of the Moscow metro recognized as objects of cultural heritage of Russia. More than half of Moscow subway stations serve more than 50 thousand passengers per day. The most heavily used stations are: "Vykhino", Yugo-Zapadnaya, "Novogireevo", "VDNKh", "Kuzminki", "Tushinskaya", "Shchelkovo", Kitay-Gorod. This subway stations are serving from 100 to 150 thousand people every day. There are metro stations close to all railway stations of Moscow. Warehouse of forgotten things is on the "Kotelniky" metro station. Construction of the metro in Moscow began in November 1931. The first line was opened on 15 May 1935. The construction of new metro stations in Moscow continues. New stations are opened every year. New subway lines are under construction. Development plans of the Moscow subway agreed with the plans of land transport development, in order to create the most convenient for passengers’ transportation infrastructure of the city. Metro lines will be extended for adjointed in 2011 territory (New Moscow). It is possible to pay the fare in the Moscow metro (2016) using contactless cards and tickets of different types. Some of the types of tickets are valid only in the metro. Some cards and tickets can be used in buses, trams and trolleybuses. There are also tickets with validity period of 90 minutes. The cost of a trip is from 28 to 60 rubles (depending on the amount of a lump sum paid by the travel and ticket type). Transport Card "Troika" is an electronic card to pay for travel on public transport. 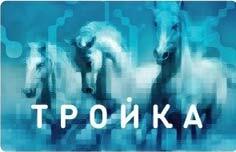 "Troika" card deposit value is 50 rubles. (Deposit may be returned when you return the card to the cashier.) Any type of ticket and the ticket for suburban electric trains can be recorded on the "Troika" card. "Yediniy" ticket. Ticket (single, united for different modes of transport) allows you to travel on the metro, monorail, bus, trolleybus or tram. The ticket is valid on the entire territory of Moscow, including the zone B. 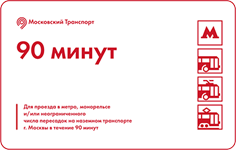 The validity of the ticket "Yediny" is: 1 - 2 travel - 5 days (including the day of the sale), 20 - 60 travels - 90 days. "90 Minutes" ticket. The ticket allows you to make one trip on the subway or monorail and unlimited number of travels in the ground transportation for 90 minutes. Tarkista tiedot Moskovan metro virallisilla verkkosivuilla: http://mosmetro.ru. Check the information on the official website of the Moscow Metro: http://mosmetro.ru. The total length of lines: 333.5. The average trip distance: 14.5 kilometers. The number of serviced passengers (on average) per day: 7.2 million (during the weekend more than 9 millions). The average operational speed of trains (including stops): 41.24 km/h. The longest stage: "Krylatskoye" - "Strogino" (6625 m). The shortest stage: Arbatskaya - "Alexandrovsky Sad" (328 m) and "Vistavochnaya" - "Mezdunarodnaya" (500 m). There are some metro stations most popular among tourist: Ploschad Revolutsii, Alexandrovsky Sad, Arbatskaya, Okhotny Ryad, Vorobyovy Gory, Theatralnaya, Tretyakovskaya and some other stations. For more information about metro stations and lines location in Moscow plese visit the interactive metro map.